How to Burn Flip Camcorder Videos to DVD? Here in America, many people have bought Flip camcorders to shoot life videos and share with their friends immediately. It is not unusual to see parents shooting videos of their kids no matter when they are clumsily learning something, or even they are crying. Flip camcorders or camcorders of other brands are absolutely necessary for families. Moreover, many people also burn Flip camcorder videos to DVD for better preserving, but how to burn DVD from Flip Camcorder? I will tell you how in this article soon. Let’s know more knowledge about Flip Camcorder firstly. According to wiki, the Flip Video cameras are an American series of tapeless camcorders for digital video created by Pure Digital Technologies, a company bought by Cisco Systems in March 2009. Flip Video cameras were known for their simple interface with few buttons, minimal menus and built in USB plugs (from which they derived the flip name), and were marketed as making video “simple to shoot, simple to share”. To make videos from Flip camcorder better to preserve, some find the way to burn Flip camcorder videos to DVD. In this case, it is not hard to mention Flip Camcorder videos to DVD burners, which are third party software programs being developed to burn videos to DVD professionally. Although these programs are at various quality levels, I do find my favorite and the best Flip Camcorder to DVD burner-Leawo DVD Creator with proven merits in terms of burning speed, video output quality, and additional services such as convert, download, and video editing features. 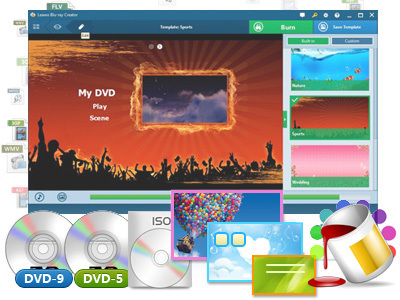 Leawo DVD Creator is created and constantly improved to facilitate users in burning videos to DVD professionally and practically. 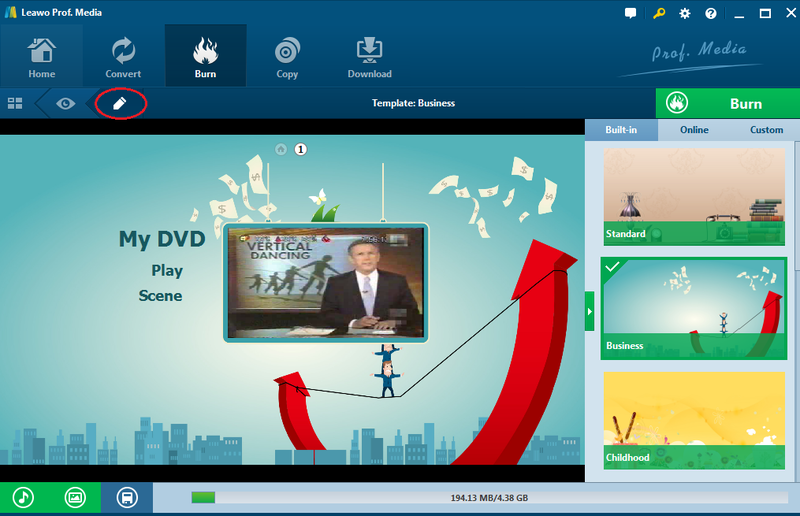 It offers abundant menu templates for users to use and powerful editing features to make their videos perfect for burning. In addition, the burning speed is 6X than other DVD burners. You may also be interested in the video quality after burning, so I have to assure you that the video quality for Leavo DVD Creator is the best of all based on my years of experience in burning DVDs. In order to convert Flip camcorder videos to DVD, you need to first transfer your videos from Flip camcorder to your PC. As you probably know, there is a built-in USB connector for enabling users to transfer Flip videos to computer easily. Once you’ve uploaded Flip videos to your hard drive, you can convert and burn Flip videos to DVD. The tutorial guide here is only for your reference. Click the below button to download the program and install it on your PC. Step 2: Add Flip camcorder videos to the program. Since you have already transferred your camcorder videos to the PC. Now we can directly drag and drop the videos to the program. Or you may click “Add Video” to import the source videos. Set the disc type at the bottom based on the blank disc you insert. Step 3: Set the menu template. We have more than 40 menu templates available for you. 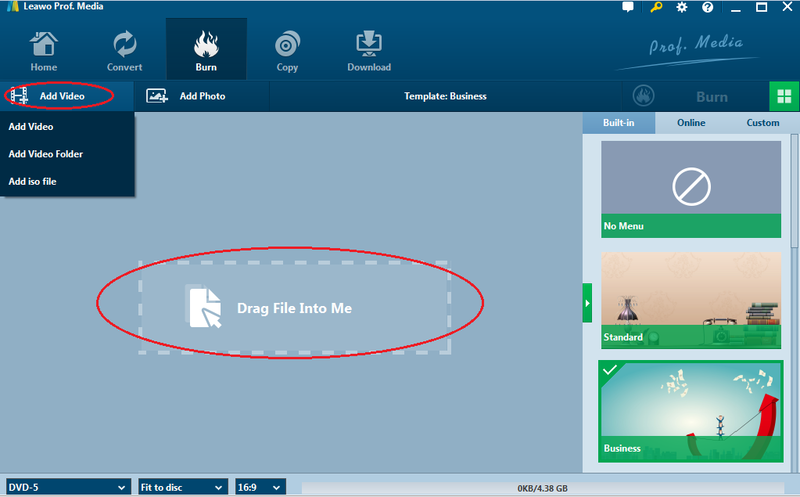 Choose one and click the editing icon to edit the template by removing text boxes, changing fonts, and background picture etc. If you want to customize your own menu, just click “Custom” to make one. After a menu template is set, click the editing icon next to the video to make the video better for burning, like trim, crop the video, add watermarks to the video, change the output effect to 3D, and so on. Step 5: Burn Flip camcorder videos to DVD. Click the big green button “Burn” and set a directory to save your video on the pop-up window. 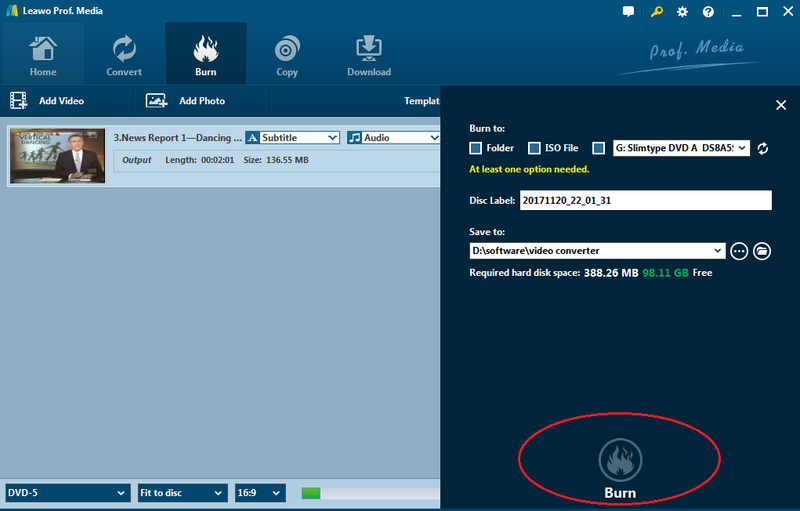 Then click the round button “Burn” below to start burning Flip camcorder videos to DVD. There will be a progress bar to show you the burning process. Once it completes, a brand new DVD is created successfully. Leawo DVD Creator is the best program for you to burn Flip camcorder videos to DVD within several clicks. With this program, it is fast and professional to convert Flip camcorder videos to DVD, which also ensures intact video quality without any quality loss at all. In addition, the integrated functions, such as download videos from any video-sharing websites and convert videos in 180+ formats from one to another within the all-in-one Leawo Prof. Media program, are also providing additional values to users who use this program. Therefore, to better preserve Flip camcorder videos, burn them to DVDs with Leawo DVD Creator. Trust me, it will not let you down.